Ben Affleck "is doing much better" after completing 30 days of rehab and will likely stay for a while longer, a source tells PEOPLE. 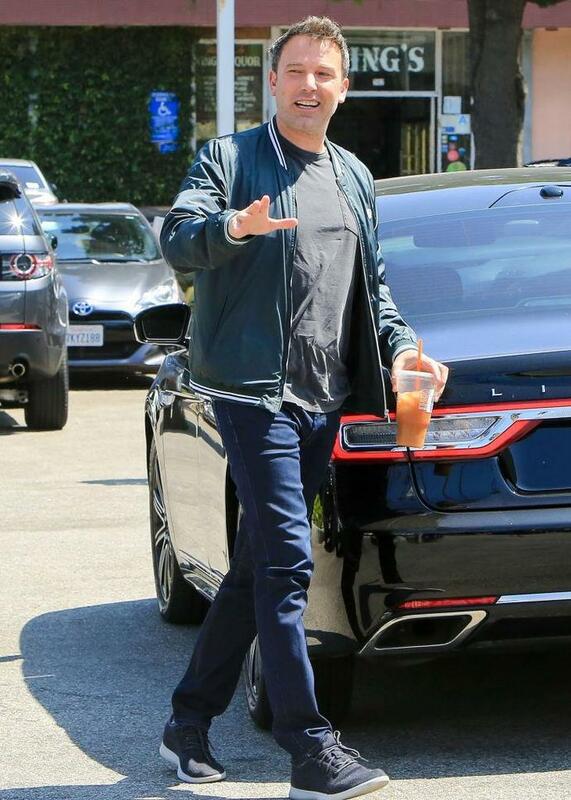 The actor, 46, was seen at the Malibu treatment facility he's been staying at on Sunday - one month after his ex Jennifer Garner was photographed driving him to the rehab center. "He is doing much better but needs to continue receiving care," a source tells PEOPLE. "As difficult as it was to have his recent trip to rehab all play out so publicly, it now seems the way it happened was for the best." Affleck previously entered rehab in 2001 and, years later, announced he had completed treatment for alcohol addiction in March 2017. "Ben seems to take this rehab visit more seriously," the insider says. "This time is different. He doesn't want his kids to have to go through this again. Ben is really trying very hard to get better. He is taking things day by day, but it seems he plans on staying at the treatment center for at least a couple of more weeks." Affleck shares three children - Violet, 12, Seraphina, 9, and Samuel, 6 - with Garner, 46. Another source says, "This continues to be a very public battle on a private matter and he struggles with that." He is encouraged by all the support and wants people to take away that you can ask for help." The actor entered rehab on Aug. 22 seeking treatment for alcohol addiction, PEOPLE previously confirmed, with a source close to the actor saying "he knew he needed help and was vocal about it." Since then, the father of three has been photographed arriving at his Los Angeles home for scheduled basketball workouts with a coach while he continued staying at his rehab center. The second source says the workouts at home are sanctioned by the rehab facility. "He recently put in a gym at his home and is most comfortable there," added the first source of Affleck's trips home. "Ben continues to work hard on himself and is committed to his rehab program, which includes a daily routine of multiple meetings and indoor and outdoor exercise." The actor "has a specialized program to suit his needs - meetings, working out, reading, therapy. Everyone's journey with addiction and treatment is different and built for the individual. [Affleck's] is a good mix of mental and physical work. This is what was outlined by his doctors and team," the insider continued. Affleck's rumored new flame Shauna Sexton, 22, has been photographed driving his car and visiting his home. His brother, Casey Affleck, gave an update on the Gone Girl actor's health to Entertainment Tonight in early September. "He's doing great," Casey said. "He's in rehab and he's recovering and seems to be doing well." If you or someone you know is in need of help, please contact the SAMHSA substance abuse helpline at 1-800-662-HELP.